The Samsung Galaxy S7 is expected to look very similar to the S6 pictured here, except the S7 will have a flat back — no bulge around the camera. VentureBeat editorialist and reputable leaker Evan Blass obtained renderings of the Galaxy S7 and Galaxy S7 edge from a source who also said that while the designs are fairly similar to last year’s S6 and S6 edge, the flat S7 is the only version that will keep a 5.1-inch diagonal display (the S7 edge, with its curved display will have a display measuring 5.5 inches). Blass also said the S7 lineup will have the Super AMOLED 1440x2560 quad HD displays the previous generation had. So the outside should look pretty similar, but there are some internal features that are believed to be getting an upgrade. Galaxy fans weren’t happy about S6’s nixed microSD card slot and its lackluster battery performance. While these changes left the backs of the phones with a sleeker design, they also took away users’ ability to easily extend their phones’ battery life and storage capacity. Samsung took the hint, according to Blass’s sources, and we expect the microSD slot to make a triumphant return in the S7. The S7 and S7 edge’s battery capacities will be upped to 3000mAH and 3600mAH, respectively, from the S6 and S6 edge’s 2500mAH and 2600mAH. Additionally, the new generation of phones should be certified as dust- and water-resistant to meet IP67 standards (no extended swimming, but a short dunk will be fine), a throw-back to the S5s. Another area of interest lies in the devices’ cameras. While the S6’s sensor was 16 megapixels, the S7’s is rumored to be 12 megapixels. But don’t be disappointed by that development — new technologies that boost low-light image quality are supposedly on the way, including a superfast f/1.7 aperture lens. Even better, the camera hump of the S6 is said to have been smoothed over in these new phones—similar in what we saw with the HTC A9. The selfie cam stays the same. Sorry Instagram stars. As for pure processing power, it’s rumored that there will be two versions—one for North American markets and one for everyone else. Both will have 4 GB RAM and come standard with Marshmallow, but the North American version will sport a Snapdragon 820 chipset, while the non-North American version will pack in a more powerful Samsung Exynos 8 Octa 8890 processor. The release date is up in the air, with Blass saying there will be a global rollout in March; CNET says the exact U.S. date might be March 11, but none of this has been confirmed as of yet. 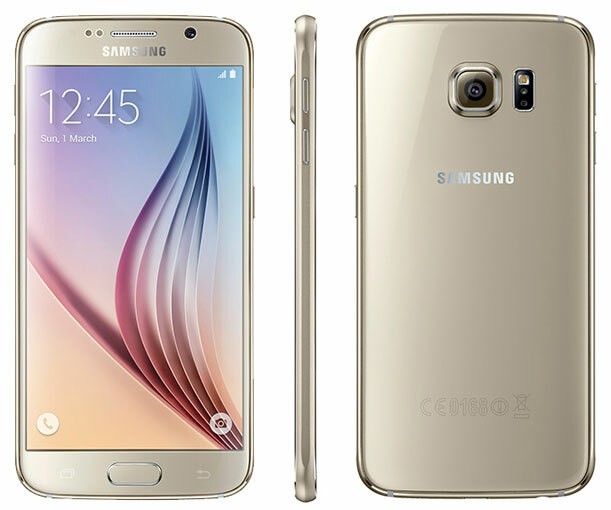 Apparently, the S7 and S7 edge will be available in 32 GB and 64 GB in black, white and gold. As for the price, we’re guessing it will be similar to ast year's S6 pricing, which started just under $700. However in November, an analyst in China said Samsung might lower the price 10 percent to keep more in line with their competition. We'll keep you updated on the latest. In the meantime, check out the 4-inch iPhone rumors.